Eleven persons, claiming to be members of a fact-finding team, were arrested on Friday when they were on way to the nuclear power plant site at Kudankulam, 30km from Tirunelveli, the police said. 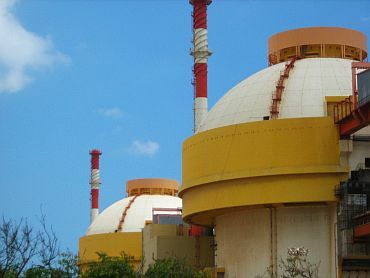 The police said the members hailed from Jharkand, Andhra Pradesh, Delhi and Tamil Nadu and said cases had been registered against them for allegedly attempting to instigate the people against the Kudankulam nuclear power plant. The members did not carry their ID cards and said they were en route to Kudankulam when DSP Govindarajan and his police team checked their vehicle at Nanguneri check- post on Friday evening, the police said. After questioning them, police concluded that their aim was to oppose the plant and also instigate the people against it, the police said.